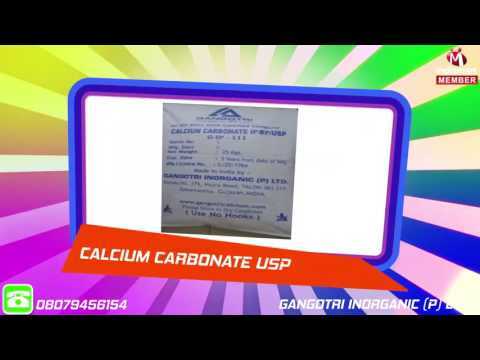 Gangotri Inorganic (P) Ltd., an ISO 9001:2008 certified company, was incepted in the year 1997, as a fine Manufacturer, Supplier and Exporter of a commendable range of Inorganic Chemicals. The offered range made up of quality products like Calcium Carbonate Precipitated IP BP USP EP JP, Calcium Carbonate Activated (Coated), Calcium Oxide USP JP, Calcium Hydroxide BP USP EP JP, Purified Talc IP BP USP and many more, is highly acclaimed and asked for in the market. Manufacturing of these products is done in compliance with the industry set norms and guidelines, utilizing the finest ingredients and modern machines. Owing to this, the offered range has an impeccable effectiveness and a longer shelf life. Further the offered range is priced reasonably, for maximum client satisfaction.